Ivory Peak is located due east of Ebony Peak. I believe Dan Robbins was the first to publish the names of these two peaks. The names are very appropriate as they mimic the color of the two peaks. See Dan Robbins’ trip report for ascent details. The following detailed route descriptions are provided by Livingston Douglas. Date of Climb: 9/3/16. 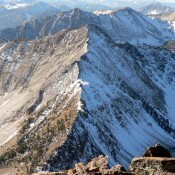 This is the second leg of a traverse from Fourth of July Peak to Ivory Peak to Ebony Peak. 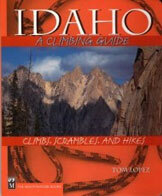 From the 9,660′ saddle at the base of the N ridge, you must immediately attack the crux of this climb. There is a large, imposing block of rock that is directly on the ridge crest. Your only option here is to climb a steep chute on the climber’s left/E of the ridge crest to get past this obstruction. Initially, you’ll think that you’ll never be able to get back onto the ridge crest, but just keep climbing the steep rock and soon you’ll be able to regain the N ridge. The rock quality here is very good. After you regain the ridge, it’s an enjoyable, Class 2 scramble up the ridge crest to the summit. 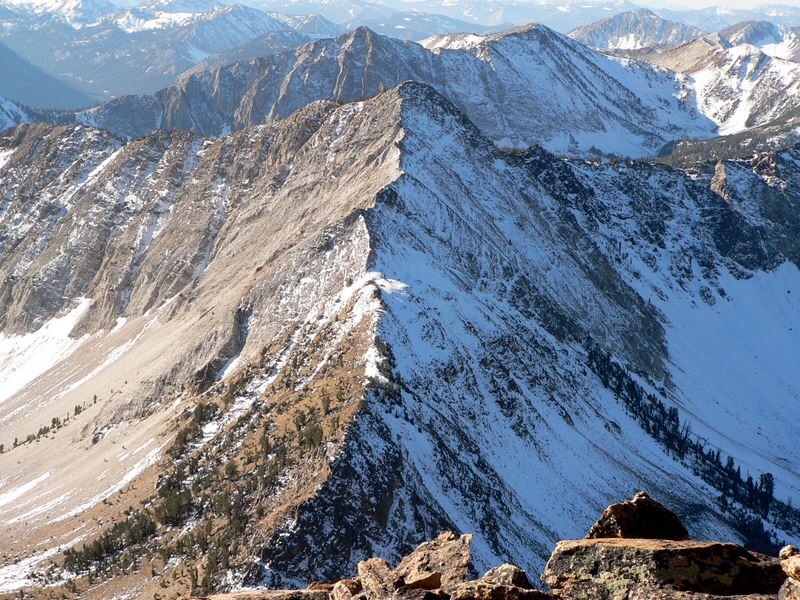 The Washington Peak quadrangle makes this ridge look knife-edged and awful, but it’s not. Yes, there is serious exposure on the W side of the ridge early on, and on both sides of the ridge higher up, but you won’t have to worry about it–assuming you don’t suffer from acrophobia. If you’re planning to continue your ridge climb SW then W to Ebony Peak, take the time to look for a potential descent route from the Ivory/Ebony saddle as you climb the N ridge of Ivory Peak. From the summit of Ivory Peak, descend the relatively easy SW ridge, staying to the left/SE of a couple of rocky ridge outcrops. You will find goat trails on the SW ridge to make your life even easier. The bottom of the ridge turns rightward (W) and you’ll soon arrive at the small Ivory/Ebony saddle (10,020′). From the saddle, you can continue W up the ridge to Ebony peak, return back up over Ivory Peak and down to the 9,660′ saddle at the base of the N ridge, or attempt to descend NW down steep, very loose terrain to the valley floor. A direct descent down the NW face is quite dangerous and is NOT ADVISED.